Sohin Shah has been part of the real estate investment crowdfunding ecosystem from the beginning, first as a co-founder of iFunding (his departure predates their recent challenges), and more recently as founder and CEO of InstaLend, a real estate investment portal focused on short-term debt investments (here’s our review of Instalend). I met Sohin and some of his team in New York earlier this summer, and afterward he agreed to answer some of our questions for the blog (InstaLend is an advertiser on YieldTalk, but this is not a sponsored post). Sohin is also an active angel investor. YieldTalk: When you meet new people, what’s the most challenging thing to explain about what InstaLend does and about online real estate investing in general? 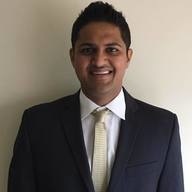 Instalend Founder Sohin Shah: For many non-professional real estate investors, it is crucial to understand how senior debt protection works and what borrower-payment dependent notes mean. For those new to online lending, it is important to guide them on how sites like InstaLend specifically underwrite their offerings, as well as how to comprehend the data that is supplemented via supporting documents such as appraisals. YieldTalk: Alternative investments like real estate and litigation financing can be quite intimidating to newcomers, even those with a business or finance background. What advice would you give someone interested in alternative investments to improve their knowledge? Sohin Shah: I feel it is crucial for newbies to speak to those at the management level of the companies that they are seeking to make the alternative investments through. These are folks who can give you clarity around why the company has a position with regulations, what states it lends in, its underwriting guidelines, its target audience, and how it expects those facets to evolve over time. There is a learning curve in online lending, so interacting with other folks who have done it before is helpful as well. For that purpose, sites like YieldTalk, CrowdDD, RealEstateCrowdFundingReview and BiggerPockets serve as excellent resources for learning and networking. YieldTalk: Before starting InstaLend, you were a founder at iFunding. What did you bring to InstaLend from that experience? What did you do differently at InstaLend compared with iFunding? Sohin Shah: My biggest learning curve has been that in an industry as young as online lending, it helps to show return of investment sooner, via shorter term investments that pay monthly distributions. In the event of a borrower default, having rights to redeem principal and interest allows individual investors to feel more comfortable about their investment, in being able to know their rights. YieldTalk: Some of the real estate investment platforms seem to be trying to offer something for everyone: commercial, residential, equity, debt, preferred equity, short-term, buy-and-hold, etc. At InstaLend you’re only offering short-term loans on residential properties. How did you decide where to focus the business? Sohin Shah: I strongly believe that whether it be playing a sport or investing, it is crucial to know the rules dictating the outcome of your efforts. For an industry as young as online lending, the rules are still evolving, the processes and infrastructure are still being laid out. So how do you take such uncertainty and add more color to what an investor can expect? Short holding periods for residential real estate, coupled with senior positions on the asset allow us to negotiate monthly interest payments for investors and help them get access to cash-flowing collateralized investments. Secondly, flipping loans can have multiple exit strategies – sale to a home buyer, turnkey rental or refinancing capital via other lender. For these reasons we feel comfortable focusing on short-term residential debt investments. YieldTalk: Speaking of competition, where is it toughest for you right now, on the investor side or the borrower/sponsor side? Sohin Shah: To be candid, our biggest competition is our historic deal flow, or in other words, making sure that we perform and return principal back to investors for deals that have been originated. It takes no more than 12 months for the performance of an offering to catch up with any marketing taglines a company like ours may have. YieldTalk: Many of the loans to date have been in New Jersey, which as a judicial foreclosure state, doesn’t have the best reputation among some investors. You seem to be taking a novel approach to that in structuring your agreements with borrowers, can you explain how you came up with that? Has it been tested with any defaults? Sohin Shah: Given we haven’t had any defaults to date, we haven’t been exposed to the pains of foreclosing in judicial or non-judicial states. Our team spends a lot of time and effort building relationships with borrowers and guiding them in crafting exits by leveraging our partnerships with refinance lenders, or turnkey home buyers. For this reason, we feel confident that our qualitative approach towards lending shall aid the quantitative guidelines we abide by, and thus help us built a model that will prevent the need to go to foreclosure. YieldTalk: Many of the individual investors looking at offerings like InstaLend’s aren’t professional investors — they’re doctors, lawyers, and executives from a range of industries. What are some of the most important fundamental concepts you thinks folks like that need to be familiar with before diving into alternative investments? YieldTalk: It’s obviously still early days, but two of the biggest clusters of investment crowdfunding sites are in Real Estate and Startup/Angel. In both categories, I’ve repeatedly heard incumbents dismiss crowdfunding offerings as “not good enough” for the traditional and incumbent funding sources. How would you respond to a wary investor who’s hearing that? Sohin Shah: I think that claim is debatable. There are credible platforms that are working hard to syndicate investment opportunities in real estate and startups. Making sure that you underwrite the platform and its management will help you identify those that truly are striving to create value in this newfound ecosystem. Startup investing used to be for very wealthy individuals with strong networks. However, with the passing of the JOBS Act, you only need to be accredited and have access to the Internet to get access to investing in what could be the next InstaCart or Uber. Similarly, crowdfunding for real estate provides an excellent opportunity to diversify via lower investment contributions across platforms, offering types, states, borrowers, etc. Emerging as our economy hurled into the Great Recession, the online lending industry exploded as individuals and investors recognized the opportunity of non-bank lending, particularly in terms of access, speed and efficiency. YieldTalk: So far most of the investment crowdfunding platforms are still operating under Reg D, though the number of ones offering Reg A+ investments open to non-accredited investors is growing rapidly. Do you have any plans to introduce Reg A+ offerings? Sohin Shah: Before non-accredited investors get involved with investments like those offered by platforms such as InstaLend, it is important that the platforms prove their business models, streamline operational processes and create liquidity opportunities. As a young company, we are still working on getting to that level of credibility. YieldTalk: How have you financed InstaLend? Would you consider crowdfunding for your own business? Sohin Shah: At this point, our focus is on streamlining processes, building credibility and getting our originated deals to exit. Based on performance and track record, we shall soon know who the right partners for capital should be. If there are crowd investors who understand how the business operates and could serve as strategic capital, we wouldn’t discount crowdfunding the business. YieldTalk: What’s the biggest limiting factor on deal flow for InstaLend? What have been your most successful sources of new originators? Sohin Shah: The fact that we aren’t chasing institutional capital has certainly forced us to be modest in our origination efforts. Today, all of our loans are 100% funded by individual investors. That in itself is a limiting factor to deal flow, however we are confident that over time as our deals perform, individuals will back us repeatedly and spread the word within their own networks, thus helping us scale. YieldTalk: Anecdotally I’ve heard a number of executives at some of the other Reg D platforms lament the challenges of dealing with retail investors, not least of which is the high cost of customer acquisition. In fact, some have shifted almost entirely to institutional money and family offices. What is the mix of individual vs. institutional investor on InstaLend, and how do you expect that to evolve over time? What do you see as the role of the individual investor in online real estate and other alternative investing in the long run? Sohin Shah: Lending platforms need to reposition institutional involvement to ensure retail investors get a fair opportunity to invest in loans on the front-end when they are originated, while institutions (with their heavy balance sheets), can help with exits to avoid defaults. All loans on InstaLend are funded 100% by individual investors. InstaLend has partnered with exit lenders to refinance borrower loans, should they come to maturity with need for extended lending term requests. 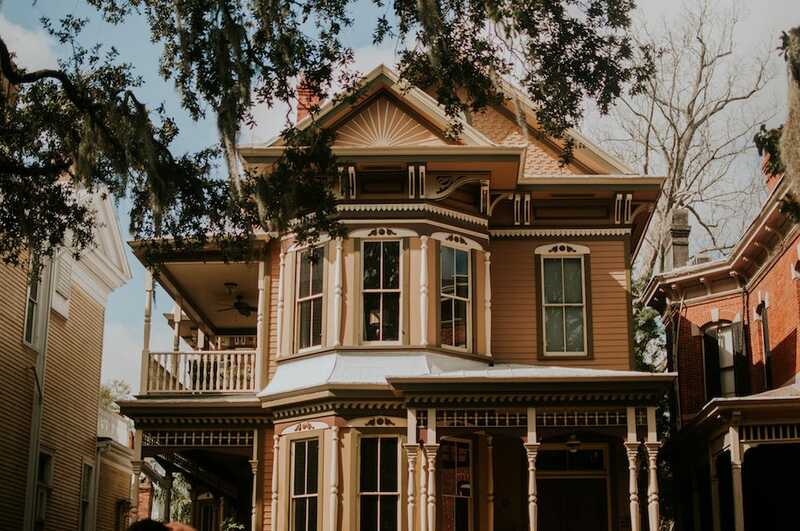 This can even work to a borrowers advantage, because the new loan may be at a lower APR, as the new loan is originated against an asset with the renovation fully or partially complete. YieldTalk: This emerging industry hasn’t yet been through an economic downturn, what do you think will happen when it does? Sohin Shah: Today, online lending is in an adolescent phase. As the US Treasury Department assessed in May 2016, “new business models and underwriting tools have been developed in a period of very low interest rates, declining unemployment and strong credit conditions … this industry remains untested through a complete credit cycle”. Individual accredited investors in the online real estate lending space face several specific challenges as the industry matures. Chief among these is the fact that institutions have entered the market, writing bigger checks and allowing loan platforms to substantially scale deal flow, at the expense of individual investor participation and returns. In fact, some lending platforms have become so dominated by institutional investors, that only a limited number of investment opportunities are visible for review and funding by individual accredited investors. We believe that institutional capital should help create long-term value, as opposed to spiking uncertain demand. YieldTalk: Speaking from experience, recruiting great talent is always top of mind for tech CEOS. What’s the hardest skill for you to hire for right now? Sohin Shah: The most challenging skills to hire for are the soft skills – the non-technical ones which involve relationship building, having compassion for your clients (be it investors, borrowers or brokers), and always putting their interests ahead of yours. In today’s world, that is what helps differentiate a business from its competition, and such individuals play a huge role in defining the corporate culture at young companies. My sincere thanks to InstaLend Founder and CEO Sohin Shah for taking the time to answer our questions. You can learn more about InstaLend from our database of crowdfunding investment websites. Have a question about crowdfunded investing? Want to learn more but aren’t sure where to start? You can explore 105 crowdfunding investment platforms in our database and learn more about the nuts and bolts of crowdfunding and alternative investing on our blog. And before investing, we strongly recommend getting a clear picture of your overall finances using a tool like Personal Capital. It's free, it's what we use to track our own finances, and when you sign up using that link you'll be helping to support YieldTalk.